The Master Lock No. 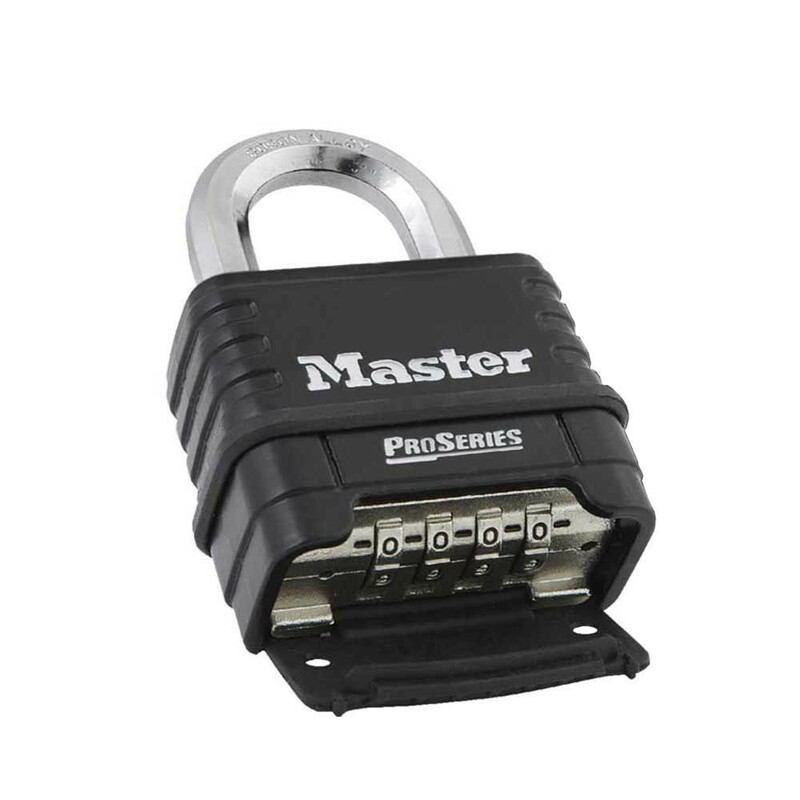 1178 ProSeries Resettable Combination Padlock is designed for commercial/industrial applications and features a 2-1/4in (57mm) wide die cast body for strength & durability and a 1-1/16in (28mm) tall, 3/8in (10mm) octagonal boron-carbide shackle for ultimate cut resistance. A set-your-own combination feature offers convenience and security with 10,000 possible combinations - no reset tool required - and a deadlocking mechanism protects against prying, shimming and rap attacks. Set-your-own 4-digit combination for convenience and security; 10,000 possible combinations. Large ergonomic dials with exclusive blind dial feature permit operation with gloves, in low light or complete darkness. Deadlocking mechanism protects against prying, shimming and rap attacks. Shackle seal and dial dust cover protect internal components and dials for trouble-free operation. 2-1/4in (57mm) wide die cast body for strength and durability. 1-1/16in (28mm) octagonal boron-carbide shackle for excellent cut resistance.